Data spanning the years 1951 to 2014 show that temperature and pressure conditions at specific locations in the Arctic region during the pre-monsoon period correlate with the Indian summer monsoon rainfall, points out Charu Bahri. Mount Abu, Rajasthan: While the India meteorological department has predicted 97 per cent of normal monsoon rains this year, meteorologists at the Indian Institute of Tropical Meteorology in Pune are keeping a close eye on unfolding weather conditions at the Arctic Circle -- 5,000 km away -- for their potential to help forecast, and possibly impact, this year’s monsoon. 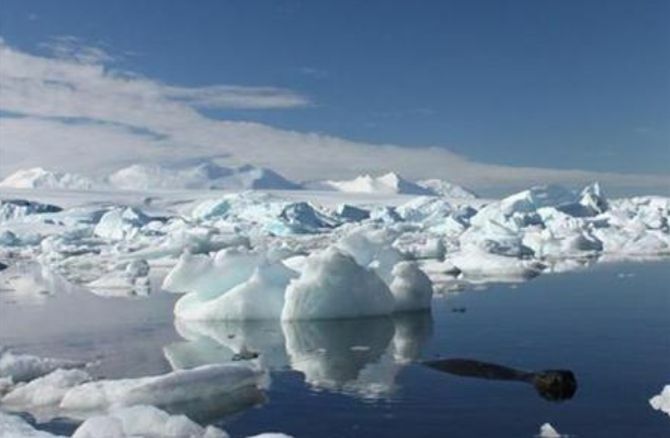 Data spanning the years 1951 to 2014 show that temperature and pressure conditions at specific locations in the Arctic region during the pre-monsoon period correlate with the Indian summer monsoon rainfall, according to recent research led by Santosh B Kakade, a scientist at the IITM. Kakade will test his hypothesis against Arctic and Indian monsoon data over the next few years. If it turns out to be correct, his research could give Indian scientists another parameter to forecast the Indian summer monsoon. The summer monsoon contributes more than 80 per cent of Indian rainfall. The accuracy of these forecasts impacts India’s vast farm sector as well as the overall Indian economy, and 17 per cent of the world’s population. 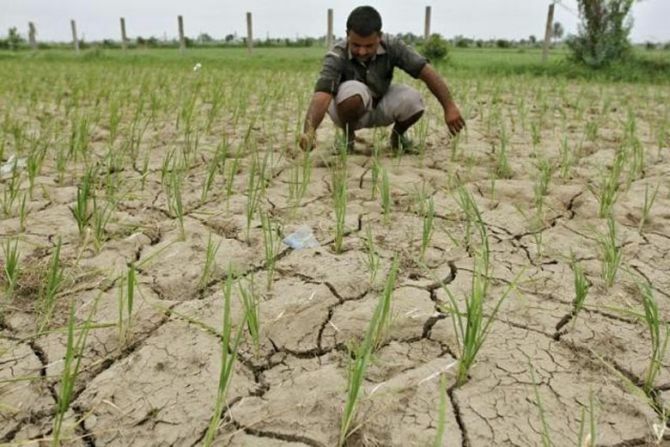 India has come a long way from the forecasting methods of a century ago, when the India meteorological department’s forecasts depended only on snow cover, with lesser cover understood to indicate a better monsoon. Yet, despite advancing to the use of supercomputers, India’s weather forecasting system is obstructed by limited data and poor models, which result in insufficient understanding, experts say. So far, the Indian summer monsoon has been known to be influenced by the North Atlantic Oscillation and the Southern Oscillation, two wind patterns that also interact with each other. In 2000, Kakade and a colleague conceptualised the Effective Strength Index (ESI), the net relative strength of those two oscillations. The ESI and the ESI-tendency, the evolution of the ESI from winter to spring in the northern hemisphere, can be measured in early May. If this ESI-tendency is positive, meaning the North Atlantic Oscillation has evolved more strongly than the Southern Oscillation, Kakade will look up the average May temperatures at the sea surface and at 5,572 m above sea level, at specific Arctic locations well defined by their latitude and longitude. Hypothetically, if those May temperatures are higher than normal, they are indicative of a weak Indian summer monsoon, and vice versa. If the ESI-tendency is negative, Kakade would study the average temperature at 5,572 m above sea level during spring and the average temperature at 11,770 m above sea level during May to predict the intensity of the Indian summer monsoon. But the strength of the Arctic Oscillation will also need to be factored into this complex forecasting process, Kakade said. The Arctic Oscillation refers to cyclonic winds circulating counterclockwise at around the 55°N latitude. When these winds are strong, they lock in the cold Arctic air. Earlier this year, however, a weak Arctic Oscillation allowed the cold to move southward, causing an unusually cold spring in Europe even as temperatures at the North Pole and across the Arctic region were 20 degrees Celsius above normal. Climate scientists have dubbed this anomaly -- warm Arctic, cold continent - “wacc-y”. Whether or not a weak Arctic Oscillation persists through the rest of the year to impact the Indian summer monsoon also depends on the evolution of the other oscillations. A positive ESI-tendency is linked with a negative Arctic Oscillation from May to October (and vice versa), which, as explained, allows cold Arctic air to penetrate southward. 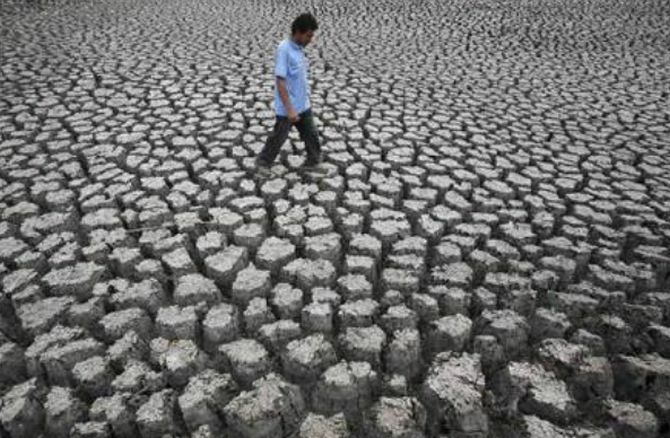 “By cooling Eurasia, and even increasing the Eurasian snow-cover, this situation could possibly reduce rainfall activity over India,” Kakade explained. Indian scientists are now fairly good at short-term forecasts. “While short-term (2 to 3 days in advance) weather forecasting based on laws of physics is quite good now, forecasting the week ahead is not that accurate,” J Srinivasan, distinguished scientist at the Divecha Centre for Climate Change, and honorary professor at the Centre for Atmospheric and Oceanic Sciences at the Indian Institute of Science, Bengaluru, told IndiaSpend. Shortcomings in weekly forecasting include models that do not represent clouds accurately and the inability to correctly predict the weather in other parts of the world, Srinivasan said. Variations in the Indian monsoon are known to be linked to climatic variations in Central Asia, the equatorial regions and the Pacific Ocean. “Long-term forecasting, predicting the monsoon a season in advance is considered even less accurate than weekly forecasting because we do not fully understand the link between the ocean, the atmosphere and clouds, and certainly, insufficient satellite data impedes this understanding,” Srinivasan added. In July 2017, a group of farmers in Beed district of Maharashtra filed a police complaint against the India meteorological department for having forecast that the monsoon would “most likely” be normal. Considering India as whole, forecasts of a normal monsoon often turn out to be accurate only because regions getting excessive rainfall make up for the deficit in other parts of the country when average rainfall is calculated. However, such all-India, long-range forecasts cannot protect farmers in a particular district or block from crop failure and losses. Because farmers in Beed were not told in advance that after a good start their district would face a long dry spell, their sowing proved useless because they had insufficient water for protective irrigation. “We wouldn’t have suffered this loss if the forecasts had been accurate and communicated to us about 10-20 days in advance,” said Yogesh Pande, spokesperson of the Swabhimani Shetkari Sangathan, a farmers’ collective in Maharashtra. While Kakade’s hypothesis remains to be tested, an older analysis of data from 1955 to 1980 shows that a relationship does exist between temperature anomalies in the stratosphere at 30 mbar (a unit of atmospheric pressure) -- which correlates to an altitude of 21,629 m above the North Pole -- and the Indian monsoon rains. Temperature anomalies during November were found to have the potential to cause up to 20 per cent variability (excess or deficit) in rainfall during the ensuing Indian monsoon, while temperature anomalies during March could cause 10 per cent variability, that study, also by scientists at the IITM, and published in the Indian Journal of Radio & Space Physics in 1992, concluded. Now that a fresh study tells us that a statistical relationship exists between the Indian monsoon and the temperatures at specific locations and times in the Arctic region, should such relationships be factored into the annual monsoon prediction exercise? “Yes, we should incorporate new data into the statistical model to predict the monsoon but only after understanding the teleconnections, the relationship between the two climatic anomalies occurring a long distance apart,” Sandeep Sukumaran, assistant professor at the Centre for Atmospheric Sciences at the Indian Institute of Technology, Delhi, told IndiaSpend. “We need to establish the physical mechanism between the Arctic Oscillation and the monsoon just as we understand how other atmospheric/oceanic oscillations in the tropics such as El Nino Southern Oscillation and Indian Ocean Dipole Mode affect our monsoon,” said Sukumaran. The El Nino, well known around the world after the recent string of hotter-than-usual years globally, is a variation, irregularly periodic, in winds and sea-surface temperatures over the equatorial Pacific Ocean. The Indian Ocean Dipole Mode is a variability pattern involving anomalously low sea-surface temperatures off Sumatra and high sea-surface temperatures in the western Indian Ocean, with accompanying wind and precipitation anomalies. In Pune, Kakade is keen to see if this year’s Arctic data hold up his findings. 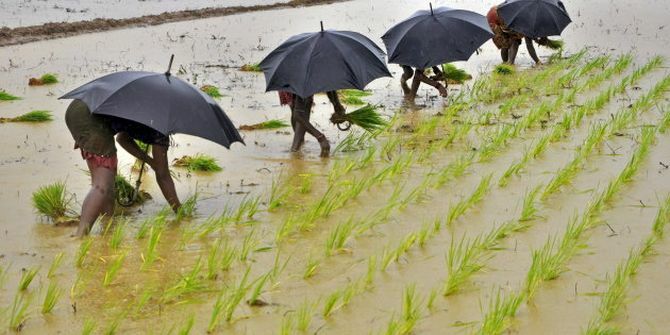 “Any new parameter found to definitely impact the Indian summer monsoon rainfall could potentially help improve the accuracy of our long-term forecasts,” he said.